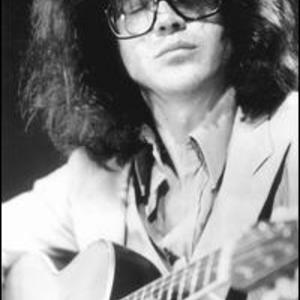 Larry Coryell (April 2, 1943-) is an American jazz guitarist. He was born in Galveston, Texas in 1943. After growing up in Seattle, Washington, in 1965, Coryell moved to New York City where he became part of Chico Hamilton's quintet, replacing Gabor Szabo. In 1967 and 1968, he recorded with Gary Burton. His music during the late 1960s and early 1970s combined the influences of rock, jazz and eastern music. He formed his own group, The Eleventh House, in 1974. Following the break-up of this band, Coryell played mainly acoustic guitar, but returned to electric guitar later in the 1980s. He was born in Galveston, Texas in 1943. After growing up in Seattle, Washington, in 1965, Coryell moved to New York City where he became part of Chico Hamilton's quintet, replacing Gabor Szabo. In 1967 and 1968, he recorded with Gary Burton. His music during the late 1960s and early 1970s combined the influences of rock, jazz and eastern music. He formed his own group, The Eleventh House, in 1974. Following the break-up of this band, Coryell played mainly acoustic guitar, but returned to electric guitar later in the 1980s.